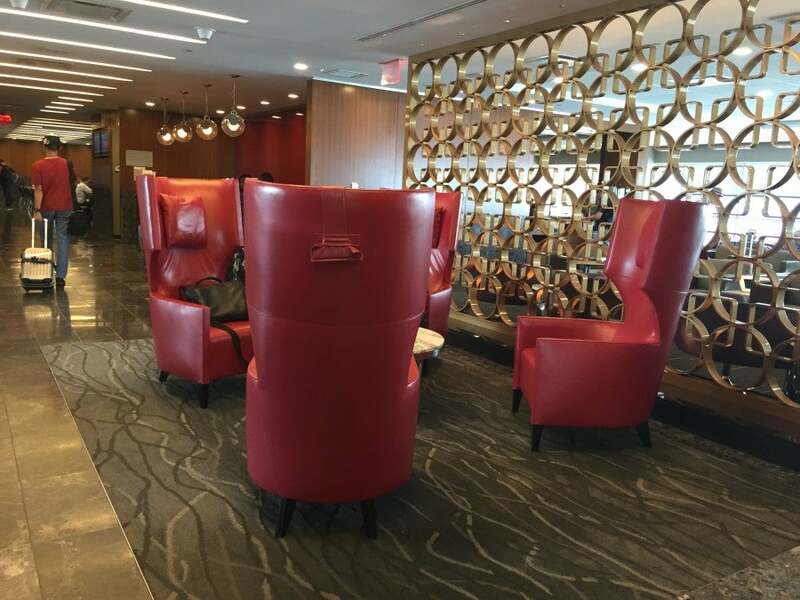 TPG Intern Kevin Song spent this week on an Admirals Club tour, working from lounges across the eastern United States with the Citi / AAdvantage Executive World Elite Mastercard. Along the way, he visited Chicago-O’Hare, New York-LaGuardia, Philadelphia, Boston and Washington-Reagan. Over the past week, I visited 12 Admirals Clubs across five cities. These represent just a small fraction of the lounges available across the country and overseas, but this sampling really showed that while the lounges are all standardized to provide a consistent look and feel, each one still retains its own individual character, in both good and bad ways. All in all, I heavily prefer the legacy Admirals Clubs over the former US Airways Clubs. The old Admirals Clubs tend to have a far more comfortable arrangement of furniture, and from my experience, feel a bit more private due to the more closed-off design and offer more of an escape from the busy airport outside. On the other hand, US Airways Clubs had the same boring, gray chairs in all lounges, and a consistent lack of personality. While I did appreciate the more open design of the lounges at first, they often had a way of feeling like a slightly comfier and quieter extension of the terminal. 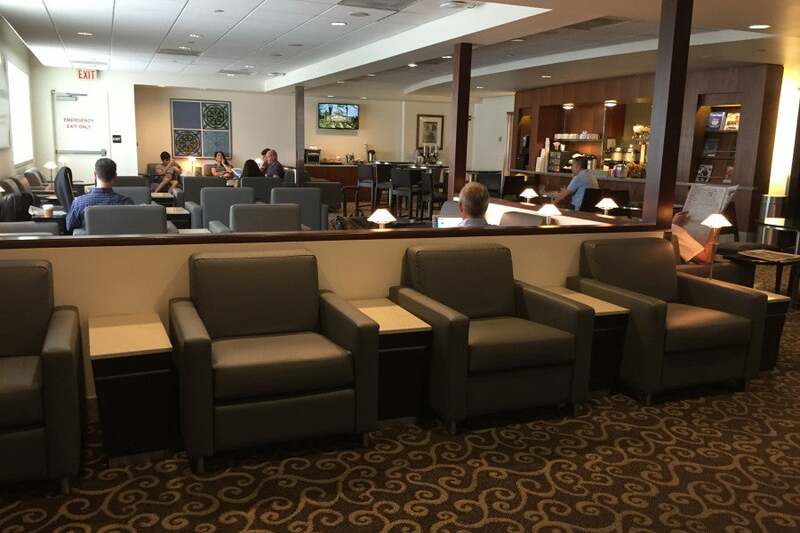 I preferred the trend among Admirals Clubs to split up the space into smaller areas with a variety of seating arrangements, food areas and rooms. Without further ado, I present to you my list of the three best and three worst lounges that I encountered on this trip. Located in what Vice President Joe Biden called a “third-world country,” this one stands out above the rest for being situated in the absolute worst airport terminal that I visited this week. I would do anything to avoid being stuck in that decrepit terminal for any extended period of time, and this lounge is actually a pretty good oasis. There’s a wide variety of seating options to choose from in the terminal B Admirals Club at LaGuardia. The Admirals Club here has recently been renovated, with fresh furniture, a wide variety of seating options, a good view and fast internet. Plus, it’s got a mini quiet room with decent purple recliner chairs. That’s really all you need for a reasonably comfortable stay. This lounge isn’t terribly large, so I certainly expect that it would be packed during peak business travel periods. The terminal outside is so incredibly cramped and busy, though, so it’d have to get exceptionally crowded before I’d consider the terminal over the lounge. All in all, this was my favorite lounge that I visited, and there’s no reason why you should ever wait in the gate area if you’ve got access to this club. I’ve got to give this club props for providing me with my only truly edible meal this entire trip. 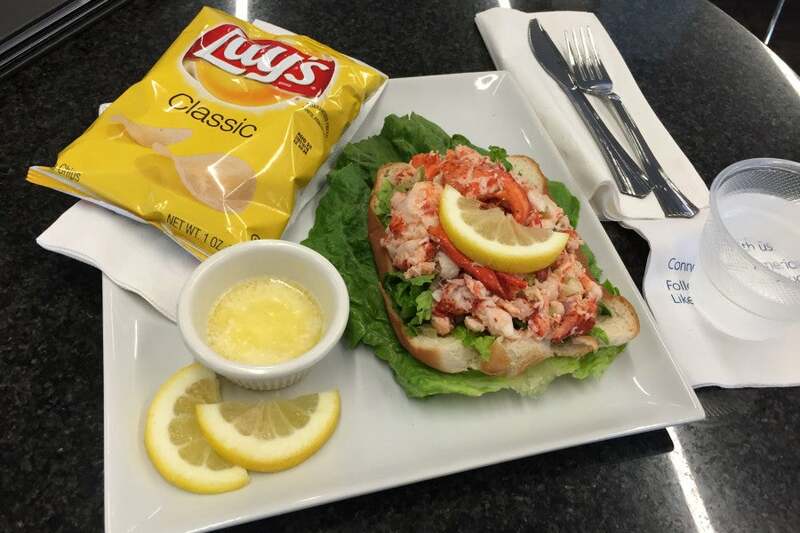 Much in the spirit of Boston, the club here offers a completely edible lobster roll. If you’ve been following my journey, you’ll know that I’ve encountered some pretty atrocious food on this trip (more on that below), and my lobster roll here was the only thing I was able to finish and feel good doing it. My first acceptable meal in an Admirals Club — the lobster roll wasn’t bad. It’s not the biggest club, but Boston doesn’t have that huge of an American presence either, so that’s a-okay. It’s also an older club, but it didn’t feel too run-down. Despite being one of the only clubs on my trip that had showers, I would try to avoid using them due to their poor design. Still, they’re nice to have. Seating here had a good variety of options, and it was comfortable enough for a few hours. Too bad it’s so far from the US Airways gates. This one stands out on my list for being the only lounge I’ve ever visited, Admirals Club or not, where I was literally the only visitor there. In fact, there were three times as many staff members as guests during my visit. For almost two hours, I had the lounge entirely to myself. While I think the experience would actually have been better with a few other souls in there other than myself, sometimes that type of peace and quiet is just what you need. 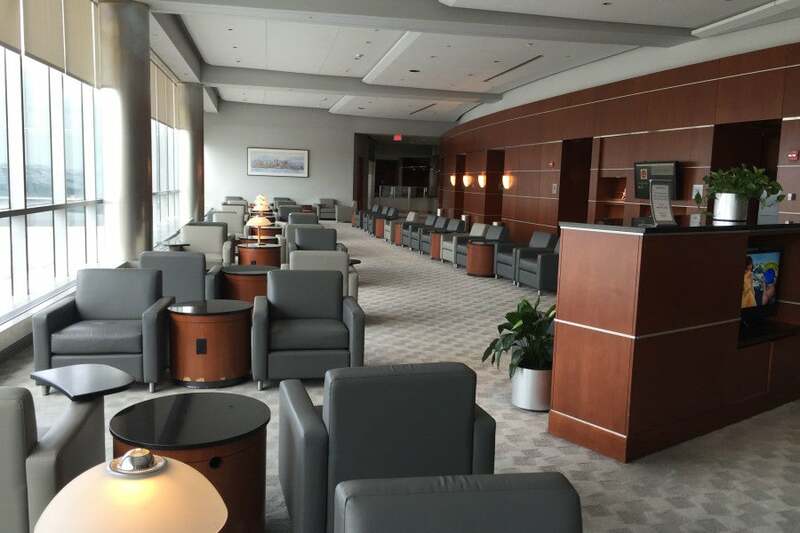 Since this lounge serves the international flights at Philadelphia, it could get pretty crowded during peak trans-Atlantic flight departure times in the evening. If you’re here during the day, though, you won’t find a more peaceful place to be in the airport. My complaints about this lounge are the same as at most other US Airways Clubs — the endless gray chairs. But if you don’t need anything other than a chair, power, peace and light snacks, you can’t beat this lounge. Located just a few hundred feet from my third-favorite lounge is my least-favorite lounge. This lounge stands out as being the only one where I actually walked down stairs to enter the lounge, instead of either being on the departure level or above it. It felt like I was entering a dungeon, and a crowded one at that. There are no windows, only a translucent glass pane that lets in some natural light. Unfortunately, this is the entirety of this depressing little dungeon lounge. There was an extremely limited food spread, and not really any redeeming qualities about the lounge. The agent who assisted me with my US Airways flight seemed frazzled and disorganized, and I quickly left to explore other options. There’s no reason to go here, even if your flight leaves from this terminal, as the A West or B/C lounges are just a minute or two away. 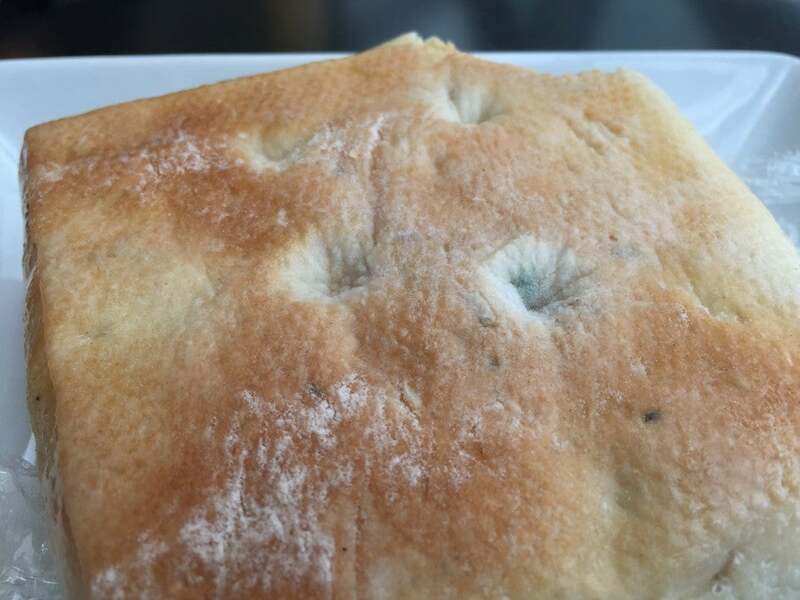 No, not the white flour on the ciabatta — the tomato caprese sandwich had greenish, blueish mold on the right side of the sandwich. A gourmet experience is out of the question in any Admirals Club, but I do expect my food to be edible. In this case, the terminal C Admirals Club at LaGuardia failed in this very basic task. Nothing more needs to be said. There are few good things to say about this lounge. It’s quite unmemorable, and very crowded. The internet doesn’t really work, and the view isn’t great. You don’t have much of an alternative choice here in terminal C, though, as the gate area is frequently very crowded, and terminal B isn’t easily accessible unless you want to take the airside shuttle. This might have been the only good and peaceful part of the lounge. There is one thing that kept this lounge from rising higher in the dislike list, however — and that’s this nook hidden way in the back. 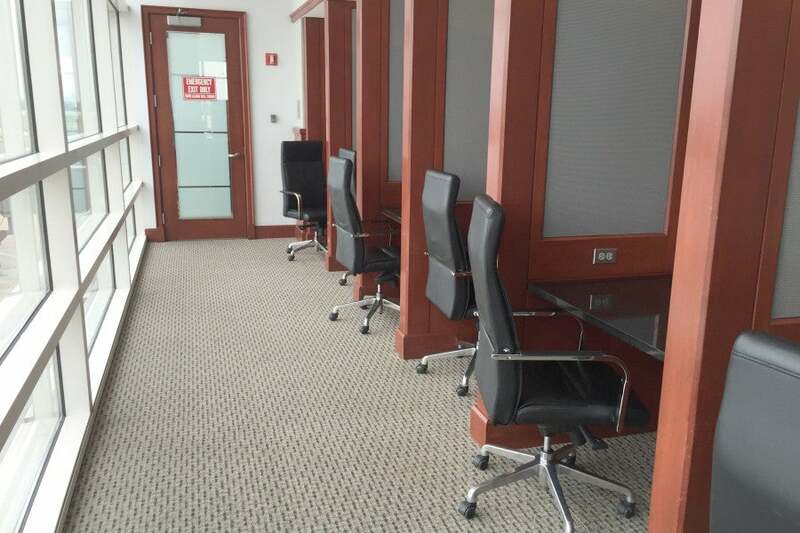 It’s a great place to get some work done, and one that’s brightly lit with natural light. It’s a big improvement over most work areas in other lounges. I’ve received a lot of messages on Twitter that pretty much amount to one question: “Is getting a membership worth it?” That, of course, depends heavily on your travel patterns. If you frequently fly and find yourself with lengthy layovers or like to leave a significant amount of extra time at the airport to be safe, then yes, it’s certainly worth it. And if you change flights often, or want to save a ton of time during flight cancellations or other mishaps, then it’s worth it as well. If you always fly American Airlines or US Airways, though, and already have elite status, perhaps the Citi Prestige would be a better card for you, since you get access when you’re flying American and you won’t need the free checked bags and other perks of the Executive card. If you do fly often, but not always on American, the full membership and Priority AAccess perks you get from the the Citi / AAdvantage Executive World Elite Mastercard are great — just make sure the airports and airline terminals you frequent allow you physical access to the front door of the Admirals Club. No, the Admirals Clubs aren’t up to international lounge standards, nor are they as nice as the new Centurion Lounges — but they’re certainly better than waiting outside in the gate area, and the agents in the lounge can make life during irregular operations much easier.